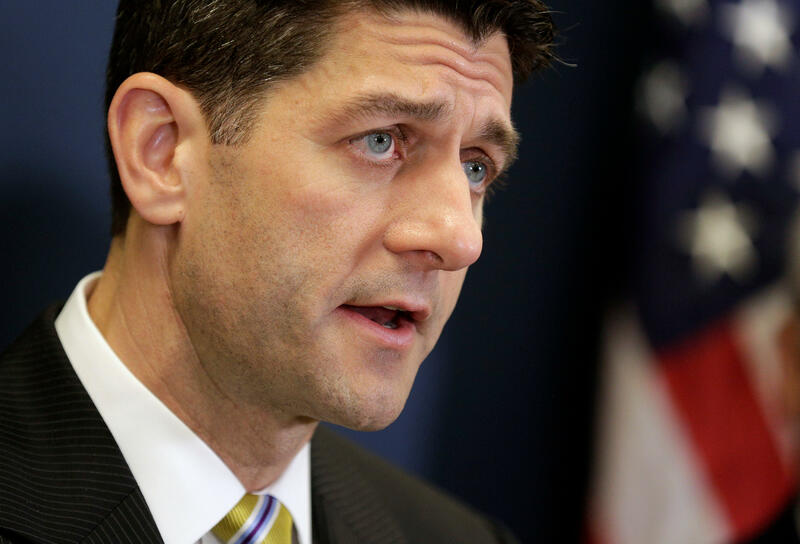 Speaker Paul Ryan on Wednesday brushed off President Trump's threat of shutting down the government over funding for the border wall. "I don't think a government shutdown is necessary and I don't think most people want to see a government shutdown -- ourselves included," the Wisconsin Republican told reporters after touring Intel in Hillsboro, Oregon. Ryan acknowledged, "We're going to need more time to complete our appropriations process, particularly in the Senate." He added that he doesn't think that "anyone is interested in a shutdown" and he doesn't think "it's in our interests to do so." His comment comes after Mr. Trump on Tuesday night threatened a government shutdown over funding for his border wall after the crowd began chanting, "Build that wall!" "Build that wall," Mr. Trump said. "Now the obstructionist Democrats would like us not to do it. But believe me, if we have to close down our government, we're building that wall." On Wednesday, House Minority Leader Nancy Pelosi said Wednesday that Republicans have "no excuse" to force a "destructive and pointless government shutdown" under their watch since they control both the White House and Congress. Congress must pass a new government funding bill by Sept. 30 to prevent a shutdown on Oct. 1, which is when fiscal 2018 begins. In previous years, because of the limited amount of time on Capitol Hill in September, lawmakers have been forced to pass a continuing resolution (CR) to keep the government running on current levels for a few more months. Budget experts and congressional aides expect Congress to follow that same pattern this year, likely punting the debate over 2018 funding into December. The president knows he'll face an uphill battle for his wall on Capitol Hill. He's been calling for Senate Republicans to get rid of the filibuster, which requires 60 votes to advance most legislation. Any government funding package that includes funding for his planned border wall would almost certainly hit a dead-end in the Senate this fall because Senate Democrats would oppose it, and therefore Republicans would be short of the 60 votes required to proceed. The government last shut down in October 2013 for 16 days. Experts suspect that the negotiation over the wall is more likely to take place in December than next month, but anything can happen.